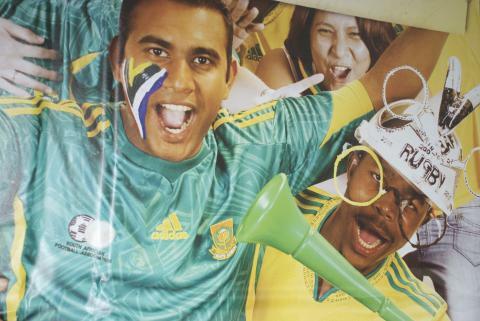 As we begin the week after the final of the FIFA 2010 World Cup and as Spain celebrate their victory over the Netherlands, there are some key lessons we as South Africans can learn from staging the event. We need to translate this same political, economic and social will to deliver into all other sectors of society. One can only wonder what the effect would be if South African leaders could put the same amount of focus and energy into combating HIV/AIDS, the crime rate, unemployment and the challenges in the public education sector, that was put into delivering the World Cup on time. With the eyes of the world on us, we had to deliver, and we did! During the period of the event, we were asked by our President to behave and to keep the place clean. My question is why does it have to only be when others are watching? We are the ones who live in this beautiful country? Why can’t we take the ownership and the responsibility to treat every day as if it was a World Cup day? It’s never easy to justify infrastructure spend on stadia when large sectors of the population do not have access to even the most basic necessities. But now that the World Cup is over, we cannot shy away from the fact that we have the ability as well as the skills to deliver. This is not a capacity issue, it is a priorities and deadlines issue. South African leaders made a decision that the infrastructure required to host a successful World Cup would take priority over delivering on other services for now. The justification given was that the World Cup would put South Africa on the map and give us a much-needed foreign capital injection. Now that we have staged the World Cup, all of the country’s broader stakeholders need to be considered. We need to put the priorities and timeframes in place to deliver on the power supply, housing, and other basic essential services required. We also need to make crime reduction an absolute non-negotiable by finally acknowledging its systemic link to a lack of basic education. Just this week there was talk that we should consider bidding for the 2020 Olympics. I am all for that bid, but a project of that nature needs to be seen in conjunction with the other pressing priorities that our nation faces. This should not be an “either or” debate, but a “how do we do both effectively and successfully at the same time?” debate. South Africa has shown that we do not need to be subject to a third-world, victim mentality and gripped by Afro-pessimism. As I travelled with my family on the Gautrain last week between Sandton and Rhodesfield, I had to continually remind myself that I was in Gauteng, in South Africa, and that this was in my backyard. I was shocked at my own response to the trip. A third-world mentality is a slow poison to apathy and surrender. I realized that, despite my optimistic outlook for South Africa, I found it hard to believe that this was a South African initiative. Why have we sold ourselves short? Why have we allowed so many of our best minds to look beyond our borders to secure their future? Is part of the answer because we do not have a clear sense of an alternative future for South Africa? Is it because we lack the strategic foresight to create possible futures beyond our current reality? 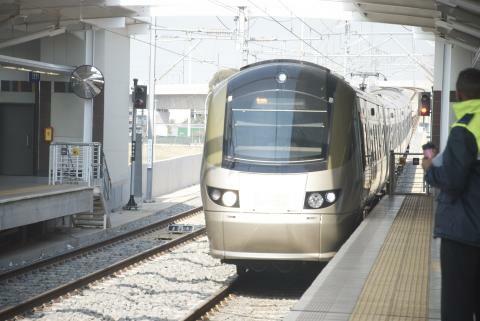 Initiatives such as the World Cup and the launch of the Gautrain show us what is possible. Instead of falling victim to the post World Cup host-nation hangover, let’s begin to dream the dream of how to ensure that our nation reaches its full potential. Ke Nako! It's time!